Away from the noise of tourist crowds and stress of city life, a holiday in Cerquido House offers the perfect combination of peace, tranquility and outdoor extreme adventures. Comprising three bedrooms and two bathrooms with free toiletries, flat-screen TV, kitchen with stove, refrigerator, microwave and coffee maker. The house has a Cerquido Serra Interpretation Centre d'Arga, supported by information panels allowing the visitor to the discovery of the territory. Located in Cerquido, as its name indicates, a small village in the Serra d'Arga, which gives us encounters with diverse fauna and flora, possibility of extreme sports, hiking, biking or horseback. 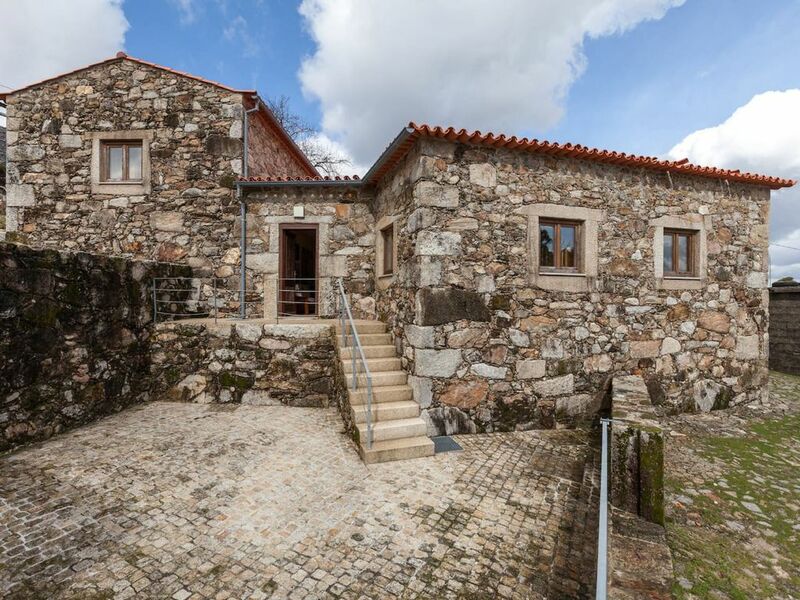 The House of Cerquido is just 5 minutes from the Bike Park and 15km from Ponte de Lima, the oldest in Portugal Vila. This project was born with the idea of ​​increasing tourism in the mountain area and enjoying fully the surrounding nature and landscape of the Serra d'Arga, making available to those who visit us. We want to enjoy a more direct and genuine contact with nature, agriculture and local traditions, through private hospitality in a rural, family atmosphere. Located in Viana do Castelo district, near the sea and the city, the Serra d'Arga is a natural area of ​​great ecological value, the result of its high degree of conservation of nature and biodiversity, thus included in the European Natura 2000 network. It is thus considered one of the most interesting natural areas in Portugal, housing a large number of species of fauna and flora. Bounded by rivers Coura and Lima, Sierra d`Arga is a combination of interesting elements of the natural heritage, ethnographic, historical and cultural, closely related to man, with its inhabitants, now and in the past. With a total area of ​​4493 ha and a maximum elevation of 825 meters, lies on the slopes d`Arga eight rural villages. The villages of the Sierra d'Arga cover three sections: Arga de Baixo Arga de Cima and St. John Arga. They are typically rural villages with traditional buildings that serve to support agricultural activities of the earth people. The village has a built heritage very well restored and preserved. The combination of nature and architecture, customs and local people, make the mountain a privileged place to visit. Legends, traditions, festivities also occupy a prominent place for all those looking for places and unique experiences in communion with the heritage, nature and a people with many years of history.